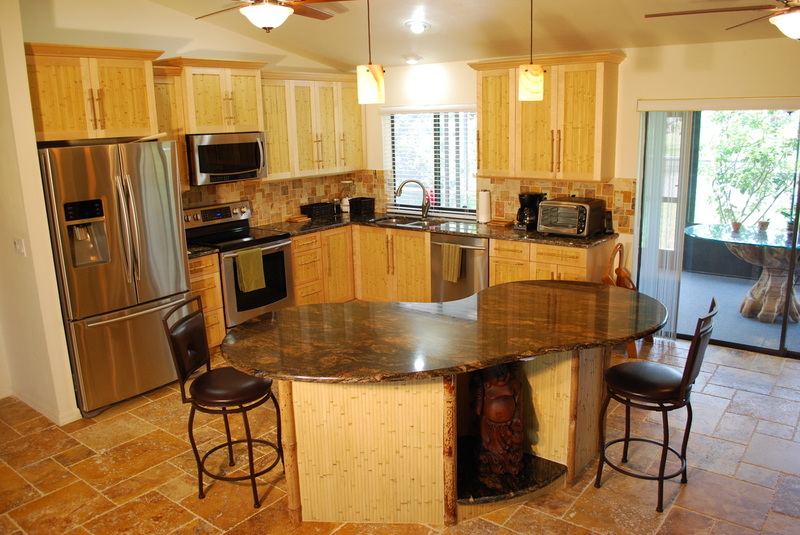 With over 40 years experience, family owned and operated Tropical Kitchens, utilizes old world craftsmanship with 21st century technology, making all custom kitchen and bathroom cabinets in our Fort Myers factory. Having lived aboard their boat for 13 years while sailing the world, Frank and Doreen Schooley are adept in finding the perfect remodeling solution and maximizing limited space for small kitchens and baths. Frank perfected his woodworking techniques on antique reproductions in the 70's. In addition to custom crafting high quality kitchens and baths, Frank is also a Product Designer with Patented new technologies and designs. Frank has designed and built yacht interiors, an eco-friendly furniture line called Terrapeg and even a U.S. patented disaster relief house, Shelter in a Day, that can be built in one day without tools or electricity. Shelter in a Day won the Aid and International Development Forum's 2013's 'Most Innovative Product' award. As a result of this award, Shelter in a Day was extended an honorary invitation to the Star-Tides Disaster Relief Expo at Ft. McNair in Washington DC and was demonstrated inside the central pentangle of the Pentagon. Doreen has a passion for interior design as well. Her eye for color, style and design and her knowledge of materials is a driving force for Tropical Kitchens. Doreen's attention to detail ensures your home remodeling project runs on time and on budget. Together this dynamic duo won the 'Best Of Pine Island' award for the last eight years. They will work with you to help create an inspired custom designed kitchen or bath that will become the 'Heart of Your Home'.